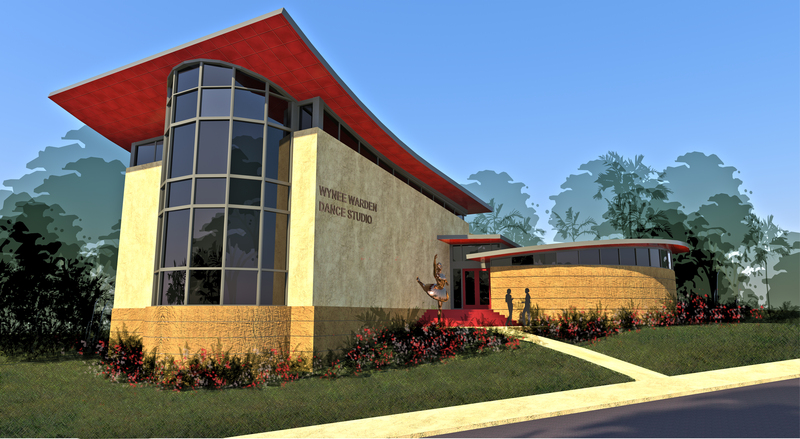 Wynee Warden Dance Studio | WMB-ROI, Inc.
WMB-ROI (architecture) worked in conjunction with Florida Southern College to design the Wynee Warden Dance studio, located within viewing distance of Frank Lloyd Wright’s iconic Danforth Chapel. 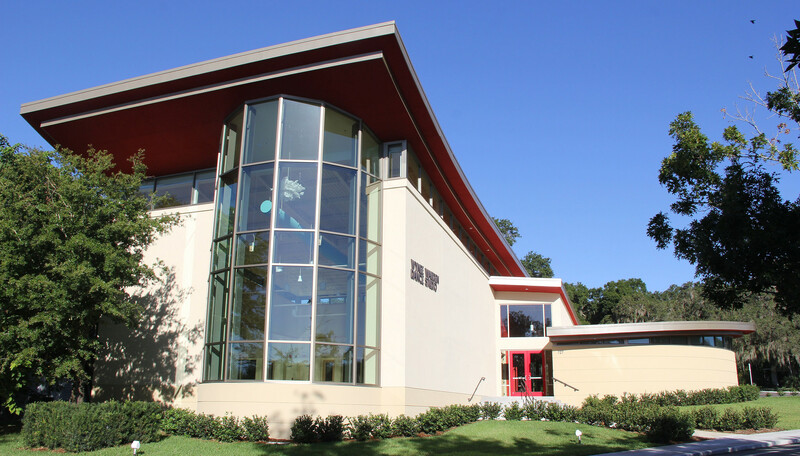 Our client challenged us to design a state-of-the-art dance facility that also complemented their Frank Lloyd Wright designed campus. One visual solution was to introduce a large bay window that directly references the Danforth Chapel in addition to serving as an aesthetic and functional design element. 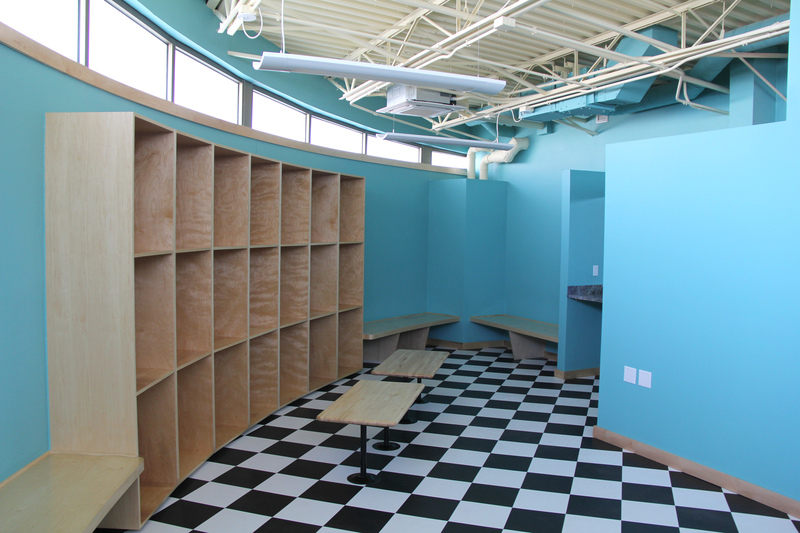 The bay window serves as a rotunda, tucking the studio’s grand piano out of the dancers’ practice space, as well as providing a large source of natural light and a stunning view of Lake Hollingsworth. 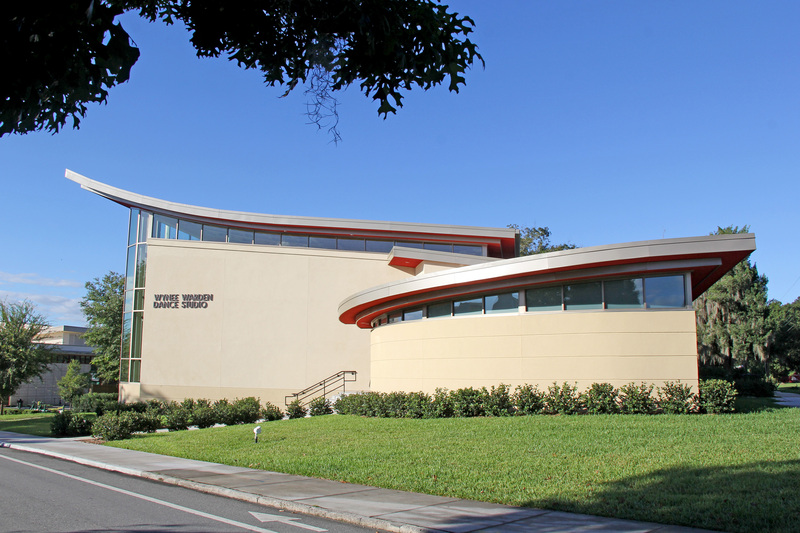 Equipped with a stylish curved roof, we used materials and warm neutral tones to blend this distinct structure with the rest of the campus. 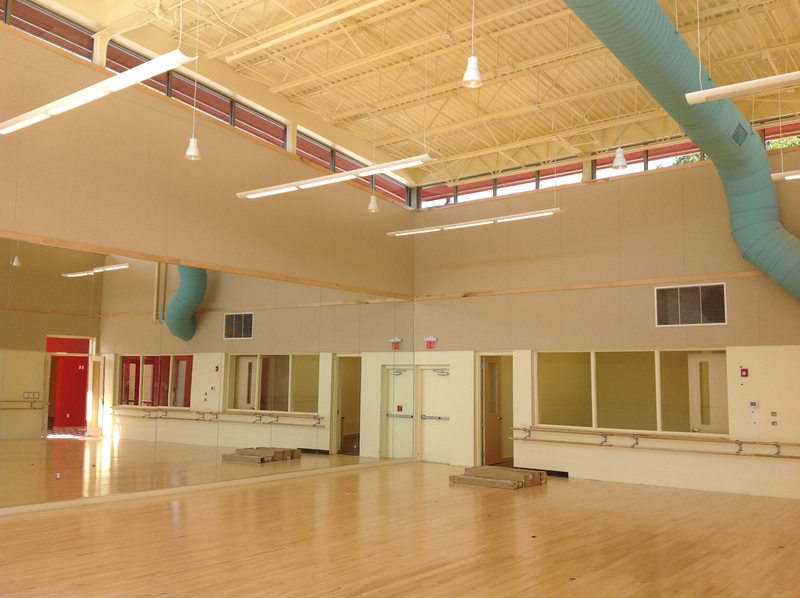 Lined with mirrored walls, dance barres, and a sprung floor, the 2,475 square foot dance studio provides students with a bright, lofty, and modern rehearsal space to help usher in one of the school’s up-and-coming programs.